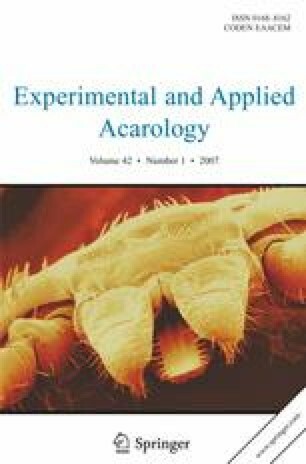 The aim of this study was to pilot a simpler and more effective method for identifying dust mites in sputum. Dust mites and their allergens have been implicated in respiratory diseases, including pulmonary acariasis, and several studies have identified mites in sputum. Further research is dependent on the development of a faster and simpler diagnostic test. We have demonstrated that dust mites artificially introduced into sputa, could be identified after the sputa were liquefied with bleach, when the liquid sample was observed under the microscope. Liquefaction times for serous, mucous, purulent and hemoptoic sputa varied from 10 to 30 min (mean 17.5). The test had a sensitivity of 80% (95% CI 68.2–88.2%) as 46/60 mites were identified. This procedure can be performed quickly at room temperature, is simple, inexpensive, repeatable, and less labourious than previous methods.